If the members of the Tampa Bay Lightning live a bad life and die, it is assured what hell will look like. Frankly, it will look a lot like Boston. For most of this franchise's history, the city has been the personal torture chamber of the Lighting. Think of it as a swamp filled with clam chowder. The Bolts have played there a lot, but they haven't won often, and they've rarely won big. hasn't won very often or very impressively. 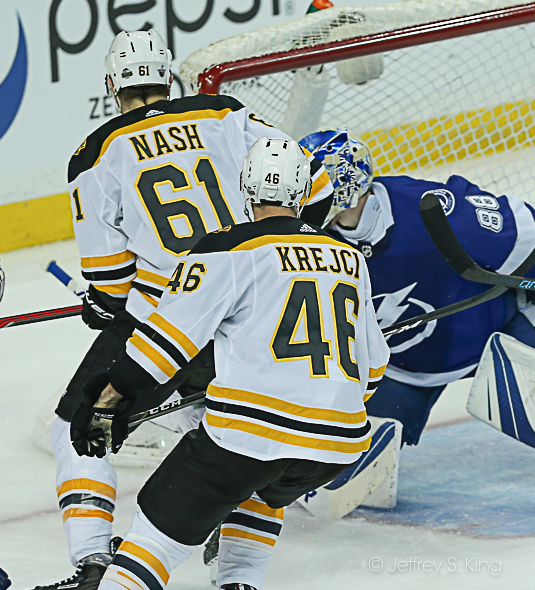 Counting regular-season and playoffs, it was only the Bolts ninth win in Boston in 55 games. 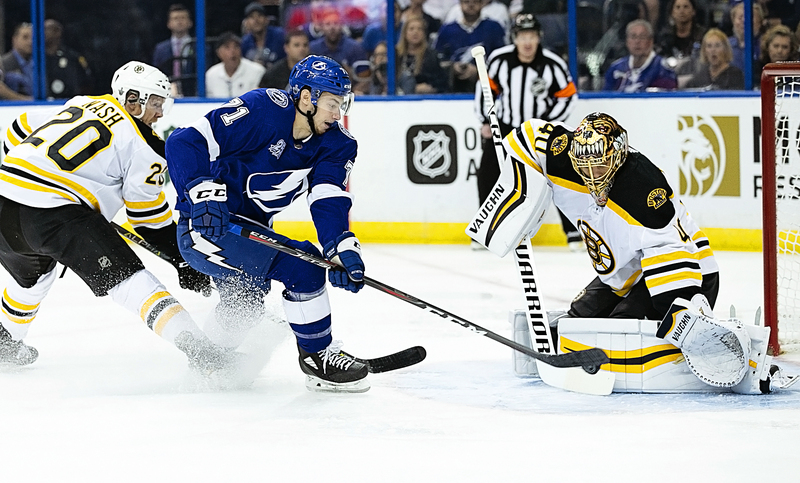 The Lightning re-established their grip on their playoff series with the Bruins -- and their grip on the Bruins' throats -- with their second straight victory, a 4-1 win over the Bruins in the TD Garden. Just like that, the Bolts have taken a 2-1 series lead. Another road victory for the Bolts (Friday night), and the team would take a commanding 3-1 lead. 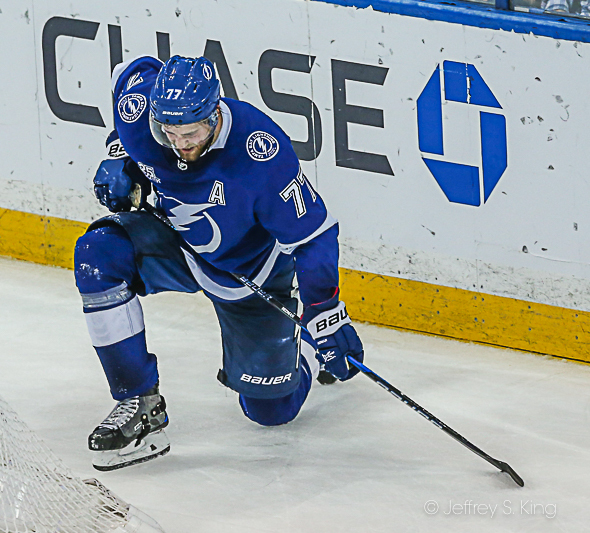 Like most big wins, there were a lot of heroes for the Lightning. Start with Ondrej Palat, who scored two goals before most fans had found their seats. He scored at 1:47 and again at 3:19. 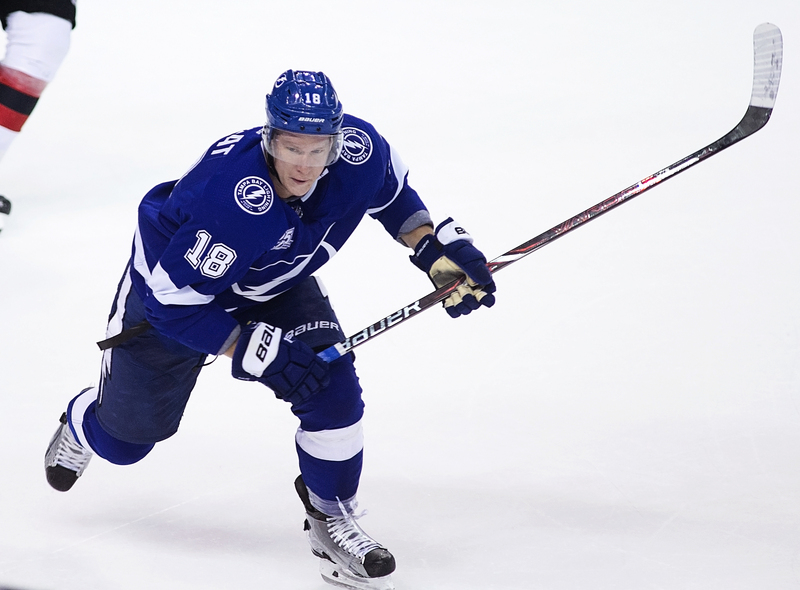 “He’s a beast," Lighting coach Jon Cooper said. "You probably get spoiled a little bit because I’ve watched that act before happening in playoff series in 2015 and 2016. Those guys that kind of go under the radar and don’t get the credit they deserve but they never seek it and they don’t care, that’s what you have in Ondrej Palat. It was the seventh-fastest that an NHL player had scored twice in a playoff game. Still, this is Boston, and after Patrice Bergeron scored on the power play to cut the margin to 2-1, it felt like a game again. But still in the first period, rookie Anthony Cirelli scored off of his own rebound to make it 3-1. As impressive as the start was, however, the Bolts' defense played its finest game of the series. The Bolts blocked 19 shots en route to their victory. Cooper pointed out a stretch in the second period when Victor Hedman was trapped on the ice for 4:25 and Ryan McDonagh for 3:24. "I think it was Stamkos who yelled 'those guys have been out there for five effing minutes," Cooper said. "They’re the horses. To me, that was the turning point. That was their push." The goal by Cirelli wrapped up the game. It was a nice answer, since Cirelli had a chance to clear on the Boston goal. "On Boston's power play, Cirelli has it on his stick to get it out and he doesn't," Cooper said. "His feet are barely wet in the league. But who responded with the big goal after that? He didn’t shy away from the moment.. That said everything about that kid. His attitude. He wants to belong and be a part of this team. He does all those little things right." 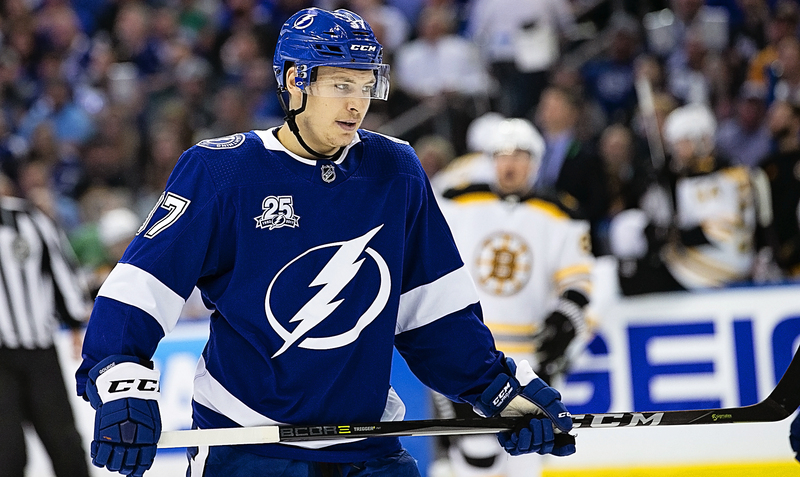 For Lightning forward Yanni Gourde, it was an emotional game. His wife Marie-Andrei gave birth to a daughter, Emma Kate, the day before. Gourde missed the pre-game skate, but played. 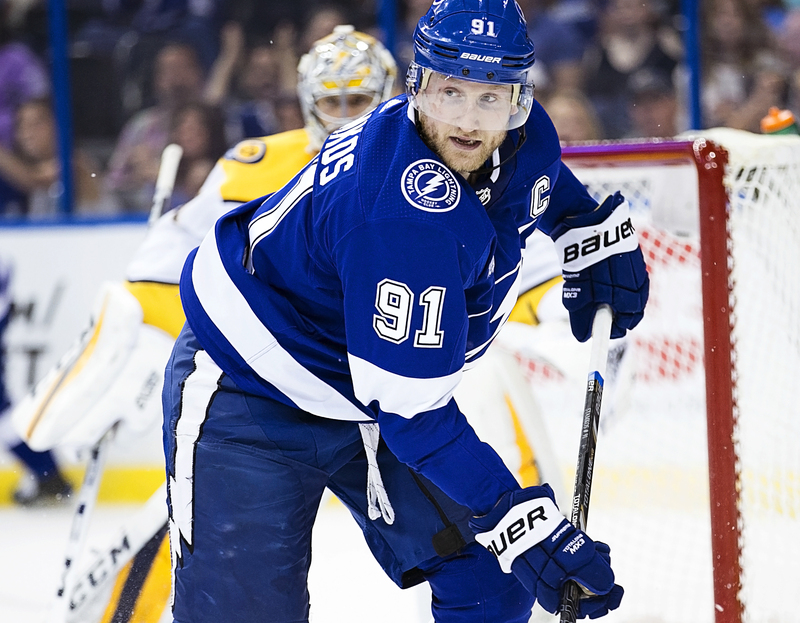 Tampa Bay closed out the scoring when captain Steven Stamkos scored an empty -netter with 42 seconds left. The Bolts' Andrei Vasilevskiy stopped 28 of 29 shots. The teams play again at 7 p.m. on Friday. The Bolts are home Sunday at 3 p.m.
Next post: Can the Bucs’ defensive line be monstrous?